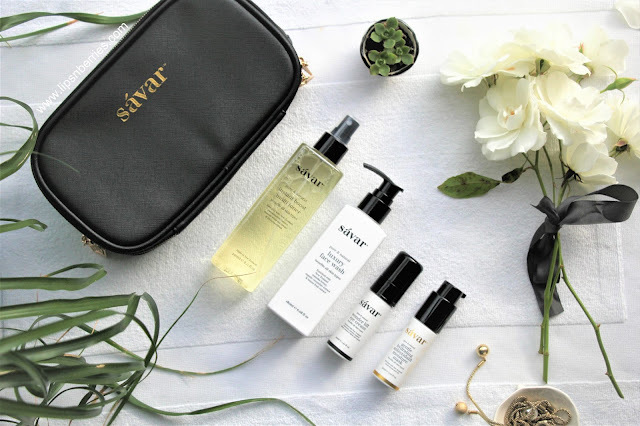 Savar Luxury Beauty Essentials Gift Set- Celebrate Mother's Day with Savar! | LIPS n BERRIES! Savar Luxury Beauty Essentials Gift Set- Celebrate Mother's Day with Savar! Trust Savar Skincare to bring out the best gift sets! If you've ever read my blog before or followed me on any of my social media channels, you'd know how much I adore this luxury skincare brand from New Zealand. Their products are all a class apart- premium, natural and effective. I've never been disappointed by them. 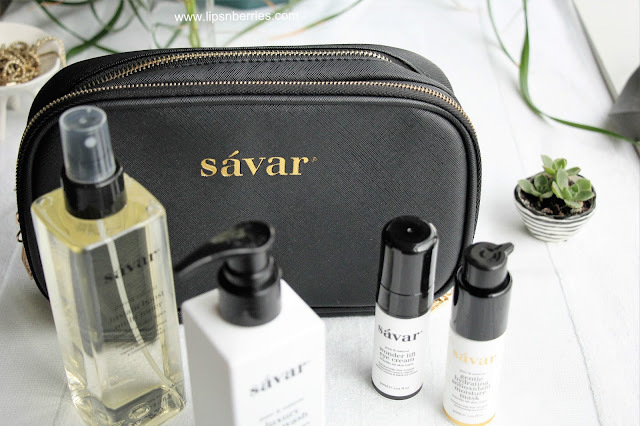 Team Savar sent me their brand new Gift Set early last week- "The luxury Beauty Essentials", hand picked skincare essentials to beat the winter blues (We are going into winters here in Southern Hemisphere!). I've been using all the products on ze face since last few days and I love them! While using one of their product in shower the other day, it occurred to me. This gift set is such a great gift idea for upcoming Mothers Day! What's not to love? A fresh zingy face wash with Cucumber & lemon that is oh so lovely and surprisingly soap free even though it lathers, a hydrating toner that nourishes & hydrates skin to the core, a lovely eye cream that lifts under eye skin and works on dark circles & an Antioxidant Mask that actually plumps up your skin and makes it glow the next morning. 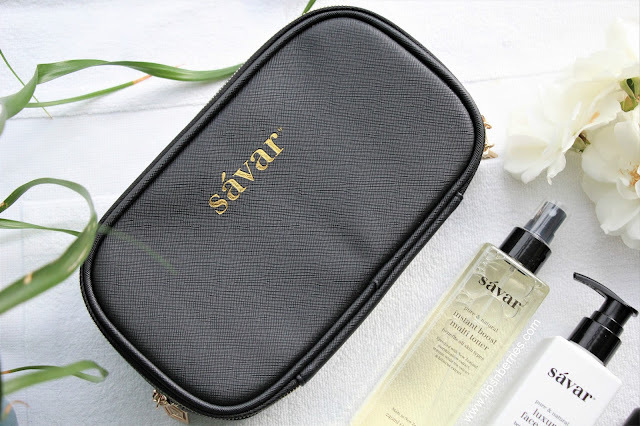 4 gorgeous products in a gorgeous Classic Black Cosmetic Bag. All up $139 NZD and you are sorted for mum's best present. I know my mum would love to be spoiled with something like this. As with other Savar products, each product screams luxury. They are not your usual run of the mill supermarket products. 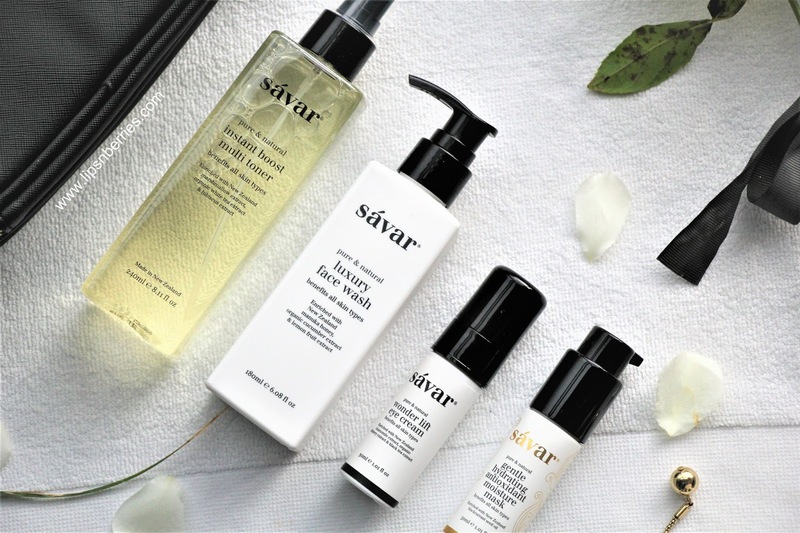 Savar uses premium botanical extracts such as NZ Blackcurrant oil, organic bilberry, marshmallow extract, organic fig, lime flower, lemon balm & organic goji berries. These are just some of the skin benefiting goodies in their products. This almost sounds like a paid advertisement but I'm actually smitten with this brand. I've never used skincare that works so perfectly with my skin so I'm always gaga about their products, specially the ones that target dry skin. 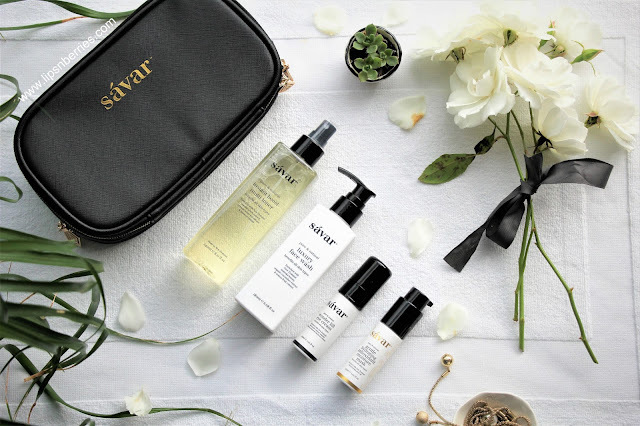 If you are looking for a Gift Set for Mum for Mother's Day this Sunday (14th May, 2017) or a loved one for any occasion, you should definitely have a look at www.savaronline.com . There are many gift options to suit various skin types, concerns and budgets. They even have hair and bodycare gift sets. 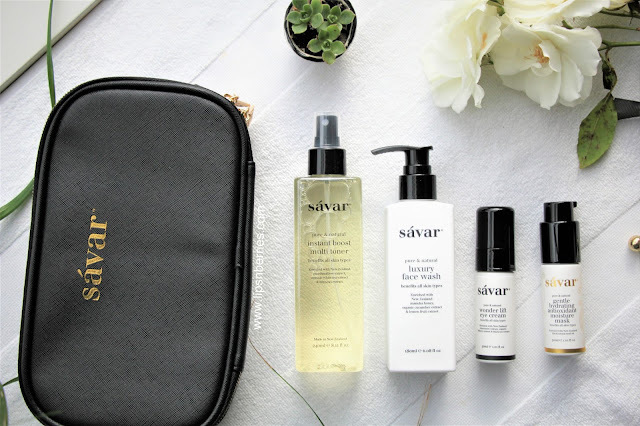 I've previously reviewed the Luxury Face Wash & Instant Multi Boost Toner (Both in this pack), Rosehip Miracle Mositure Essence, Rosehip Ultra Brightening Serum and their Ultra Cleansing & Ultra nourishing Shampoo & Conditioner. I'm sure you can see how this gift set is actually a pocket friendly option. $203 worth of products for $139 + Free Shipping NZ wide. Even if you don't end up buying any luxury gift for mum, I hope you'll make her feel extra special this one day. She's so worth it! How will you be celebrating this Mothers' Day?